What Can MotoCalc Do For You? Need help choosing a power system for your electric RC model airplane? MotoCalc will tell you everything you need to know: Amps, Volts, Watts, RPM, Thrust, Rate of Climb, and much more! Ask the MotoWizard to suggest a set-up for your model. Use the MotoCalc Workbench to calculate detailed performance predictions for different variations. Ask for a MotOpinion to find out what will work, and what won't. And when you've found the right power system, MotoCalc's Wiring Wizard will show you how to hook it all up. Read more below and click on any of the screen shots to see it full size. MotoCalc's MotoWizard is like having your own personal guru to help you find the best set-up for your model. Just answer a few simple questions about your plane, how you want to fly it, and any equipment preferences you may have, and the MotoWizard will give you a list of suggested power systems. If you already know you want to use a particular component (for example, the motor or battery you have on hand), just tell the MotoWizard and it will work with what you've specified to find a viable set-up (if possible). Stop there, or put on your own wizard hat and go to the MotoCalc Workbench to tinker with the set-up further. On the MotoCalc Workbench, you can specify in detail the motor, type of cells, the number of cells (series and/or parallel, and you can even specify ranges), range of propeller sizes and/or gear ratios, speed control, how it is to be wired together, and more detailed information about the model itself. Or, you can accept the suggestions made by the MotoWizard and just click the Compute Report button. If you have particular requirements, such as a minimum run time, maximum current, or maximum power loss (which is dissipated as heat), you can use MotoCalc's filter facility to filter out the unacceptable combinations. MotoCalc will calculate weight, current, motor terminal voltage, input power and power loading, power loss, output power and power loading, motor/gearbox efficiency, battery-to-shaft efficiency, motor and propeller RPM, thrust, pitch speed, rate of climb, and run-time. By producing a table of predictions, MotoCalc lets you scan the results to determine the optimum propeller size and/or gear ratio for your particular application. You can sort the results by any column, in increasing or decreasing order. MotoCalc can also do an in-flight analysis for a particular combination of components, predicting lift, drag, current, voltage, power, efficiency, RPM, thrust, pitch speed, and run time at various flight speeds. It will also calculate stall speed, hands-off level flight speed, optimal level flight speed, maximum level flight speed, rate of climb, and power-off rate of sink. You can save any of MotoCalc's reports as plain text, HTML, or comma-separated-values (CSV), for e-mailing, publishing on your web site, or importing into a spreadsheet. The side-by-side comparision window lets you compare up to ten different sets of results using different motors, different types of cells, or even entirely different aircraft. Differences are highlighted for easy comparison. And like most of MotoCalc's reports, you can print your comparison, or save it as text, HTML, or CSV. Even multi-motored models are a snap with MotoCalc, whether wired in series, parallel, or both, with one speed control or several. The Wiring Wizard makes it easy to lay out your model's electrical system and tell MotoCalc what it needs to know to make the performance calculations. 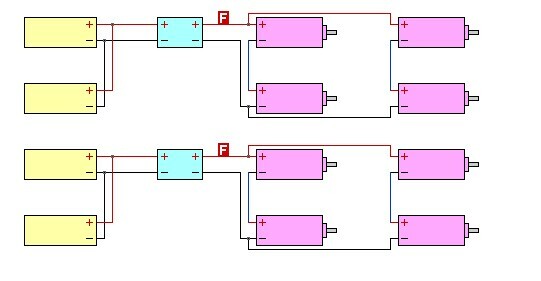 Print the wiring diagram for later reference, or produce a JPEG file to e-mail it to a friend or publish on your web site. Nothing beats a graph for understanding a table of numbers. MotoCalc's graphing facility can plot any parameter or pair of parameters against any other (for example, thrust and drag versus airspeed, or motor efficiency versus number of cells). You can save graphs as Windows® BMP files, or as JPEG files suitable for web publication. You've picked a set-up, generated the predictions, and looked at a few graphs. But will it fly? Why not get a MotOpinion? Just click the Opinion button to find out what MotoCalc thinks, in plain English. You can save your MotOpinion reports as plain text, HTML, or rich text (RTF), for e-mailing, posting on your web site, or word processing. To reduce the amount of information you have to deal with, MotoCalc comes with a database of motors, cell types, gearboxes and propellers, speed controls, and filters. For example, there are over 3100 motors in the motor database (including the Actro, Astro, Aveox, AXI, Graupner, Hacker, Jeti, Kontronik, Kyosho, MaxCim, Plettenberg, Scorpion, and Turnigy lines, and many more), and 250 different cell types in the cell database. And with MotoCalc's one-button Internet update, it's easy to keep all that data current. If the motor you are using is not included in the database, MotoCalc will help you figure out its parameters from test data, catalog information, or from the specs of another similar motor. 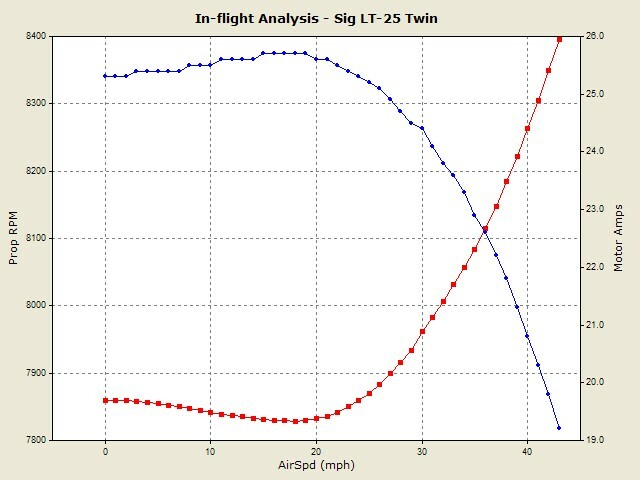 If you don't know the aerodynamic characteristics of your plane, MotoCalc's drag and lift coefficient estimator will make short work of determining them. MotoCalc's propeller and fan coefficient estimators make it easy to add new propeller data based on bench tests. For more information, you can preview the MotoCalc on-line manual, read what people are saying about MotoCalc, see what's new in MotoCalc 8, or download a copy and try it free for 30 days. After the free evaluation, registering your downloaded MotoCalc costs only $39. If you prefer a CD version, there is an additional $10 charge to cover media, shipping, and handling. MotoCalc 8 requires a Pentium based computer, with 8Mb of free hard disk space, 800x600 or higher screen resolution, and Microsoft® Windows® 10, 8, 7, Vista, or XP. Copyright © 2018 by Capable Computing, Inc.
MotoCalc, the MotoCalc logo, MotoWizard, and MotOpinion are trademarks of Capable Computing, Inc.